What is the Child Carer course offered by Initial Education about? Caring for children and teaching them lessons and values about life is a very satisfying task. However, it is not always something simple to do. Being a parent is a full-time job, for which no one can give us a ‘magic formula’. Nevertheless, what we can do is to adequately inform ourselves and learn what the most appropriate ways to care and educate our children are. 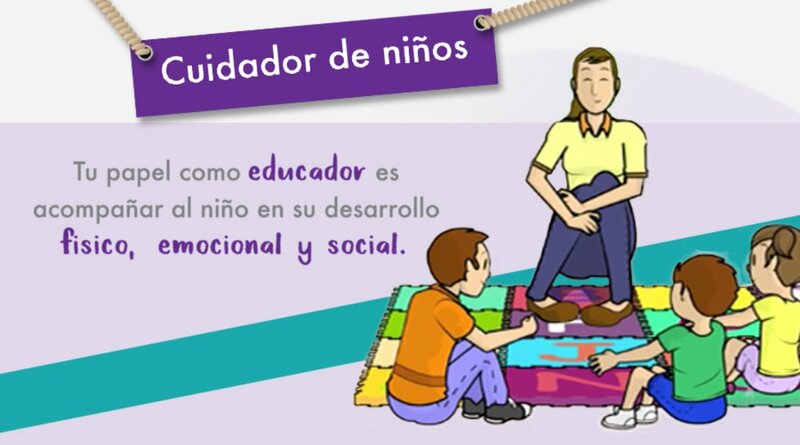 Knowing this is a titanic work, Initial Education offers an online course called Child Carer (Cuidador de niños). The course provides timely and valuable information on the care of young children. The knowledge given in the course is essential for any person in charge of children, in order to provide adequate, personalized, emotional and respectful child-care. The course is open 7 days a week and 24 hours a day. So attendants can choose the day, time and place to take it. It lasts 8 hours on average. The Initial Education program of Carlos Slim Foundation strengthens the competences of families, educational and health organizations, as well as of communities and society, responsible for the upbringing and educating children, to promote their integral development based on their rights. Through the workshops offered, participants will learn about how to build stable bonds with children, transmit values, discipline guidelines, as well as promote their self-esteem, understand their emotions and encourage the game. Carlos Slim Foundation recognizes the importance of education for the integral development of a nation. Every year our programs contribute by granting diverse inputs, training students, supporting them from their first years of life to their postgraduate studies, committing to the creation of a free, healthy, fair and prosperous society.